Love strong and reliable paper towels? Here is a chance to try the new Viva Vantage paper tower with a small saving. 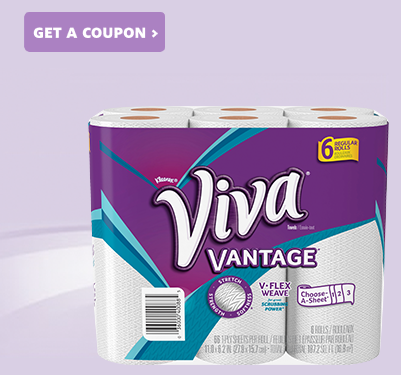 Print this new Viva Vantage coupon and save $1.00! Viva® Vantage is using the revolutionary V-Flex Weave that gives you amazing stretch, strength and absorbency to take on any mess. Get the coupon here!